In the lounge a saffron clad swami with a ring on every finger and holding a Blackberry handset was enjoying the adulation of some disciples. The remaining time slipped past as we witnessed the Swami explaining actions needed by the disciple to get his daughter married. A pleasant surprise awaited us as we were upgraded on the flight. At 6.45 AM the flight descended at Suvarnabhumi International Airport. The new airport was modern and efficient and within half an hour we were issued the visas! The drive to hotel was pleasant and soon we were in the familiar settings of Pratunam Centre with all kinds of shoppers already thronging the busy street. The aroma of the local food greeted us with familiar sights of poached eggs and meat of different kinds. The hotel room had a magnificent view overlooking Amari Watergate and Baiyoke Sky Hotel zooming skywards! In the evening we were woken from our slumber with thunder, lightning and rain which was a welcome relief after escaping the searing heat of Delhi. Next morning we headed to the weekend market Chatuchak , but not without a visit to the Gems and Jewellery store enroute, which has one of the most beautiful and fascinating collection of works of jewelry , gems and stones. One can actually see these being crafted by the locals. The tuk tuk(autorickshaw) drivers in Bangkok insist on this addition to itinerary as they earn gasoline vouchers. The Chatuchak market is a must visit with all kinds of shops selling ware one can think of from assortment of food, clothes, curios, jewelry, pottery, decoration stuff etc ! I opened my purse and found to my horror, all the money was missing!! How could this happen? After some guesswork I realized that may be I had left the money at the hotel. I handed over the little money left with me to my wife so that she and daughter could shop around, while I rushed back to the hotel. After reaching the hotel, was greatly relieved to see the money wrapped in handkerchief still lying on the table. Despite the room having been cleaned, by the staff the money was there, untouched! Later in the evening we visited the Siam Centre which is a shopper's paradise. Siam Centre is fascinating and alluring with glittering shops, elevated sky train in neighborhood, finger touch guides to shopping plazas, and huge departmental stores. Black Canyon Coffee tasted good with a deal to get one free on one ordered! Chinatown our destination for the next day, is well worth a visit but the only problem is one has to shop in bulk! If you need to buy shoes, you have to buy at least six pairs! The narrow alleyways are congested with people and hawkers but are truly enchanting! The local handicrafts, clothes, and bags literally everything under the sun is available. A visit to the Patpong Night Bazaar was very interesting! The place is notorious for all the sleaze and skin shows! However, the brightly lit market is worth a visit .All the surrounding market of hawkers sells fake watches, leather and other branded goods. One can buy a replica of Rado watch to Gucci and Armani apparels on the streets. The rain came down in torrents sending us scampering for shelter! Despite rains, the market continued to function though with lesser clientele. The rain water was very effectively being cleared by a contraption of plastic pipes which we noticed at these hawkers’ outdoor shops. Can you believe a morning bazaar starts at 3 AM and winds up at 9 AM in the streets between Baiyoke Tower I and Baiyoke Tower II at Pratunam. I got up early at 5 AM to visit this market and was taken aback to see it in full swing with shopaholics on the prowl early in the morning looking for bargains. Later in the evening I was impressed with the efficiency of a local supermarket Big C where we went to exchange an oversize pant and the entire amount was refunded to make a purchase all over again. After spending a hectic day going around Bangkok's Chatuchak Market yet again and enjoying all the local color and festive spirit it was time to pack the bags and head for Krabi.. The flight by Air Asia was a pleasant one.We hopped into the waiting bus outside the terminal which was very reasonably priced . The drive to Aonang beach was a long one and took about 40 min as we passed through the palm lined narrow road. Often the pounding of waves of the sea made us aware of presence of beaches around. By the time we reached the hotel we were tired and retired for the day. The hotel allocated a room overlooking the sea on the top floor( 4th floor). I woke up early and could not resist the temptation of going out for a walk on the beach. The sky was jaded and flaming orange streaks indicated the break of another dawn. The sand was pristine and a walk on the beach was very refreshing. Back in the hotel, after a breakfast of the lovely tropical fruits, freshly baked bread and juice, we headed for the beach to admire the nature in all its glory. The market at Aonang Beach is a typical beachside market strewn with all kinds of restaurants, shops selling clothes, curios and foreign exchange vendors, massage parlors etc. Later in the evening we took a Songthew (a local bus open at the rear and can take up to 15 passengers) to the Krabi town. The ride to Krabi town through the lush green jungles, along small hillocks and occasional brush with seacoast was thoroughly enjoyable. The small fruit and vegetable market was very interesting and haggling with the vendors was a nice experience! Excited, we got ready and waited for the van to take us to the Hong Islands, the next morning. A short ride to Nophrathara beach was the boarding point for the Long Tailed boat. In the long tail boat we were soon joined by a silent German, a Thai couple, two young and stocky girls from Canada and two ladies ( a mother and daughter from Taiwan). I soon picked up a conversation with the Taiwanese girl, Zheng (her name) who had travelled a lot around the world, including India where she learnt, Yoga, Meditation etc .The boat headed through small troughs of water. It was a clear sunny day and the view was studded with many small islands exploding with greenry and soul elevating landscapes. The first stop was Paradise Island and as the name suggested, the land locked lagoon was a perfect paradise!. We snorkelled in the water and saw scores of colorful fish. While feeding them is fun it could sometimes be close as they try to snap at fingers feeding them! After about an hour the boat took us to Pkhia, Raily and Lading islands with a 20 min stopover for photo sessions. After this the boat veered towards Hong island and one could see literally hundreds of starfish at the crystal clear bottom. We got down and had a nice picnic and lunch on the island of rice, Thai curry, fish and fruits. After the lunch we honed our snorkeling skills in the lagoon. 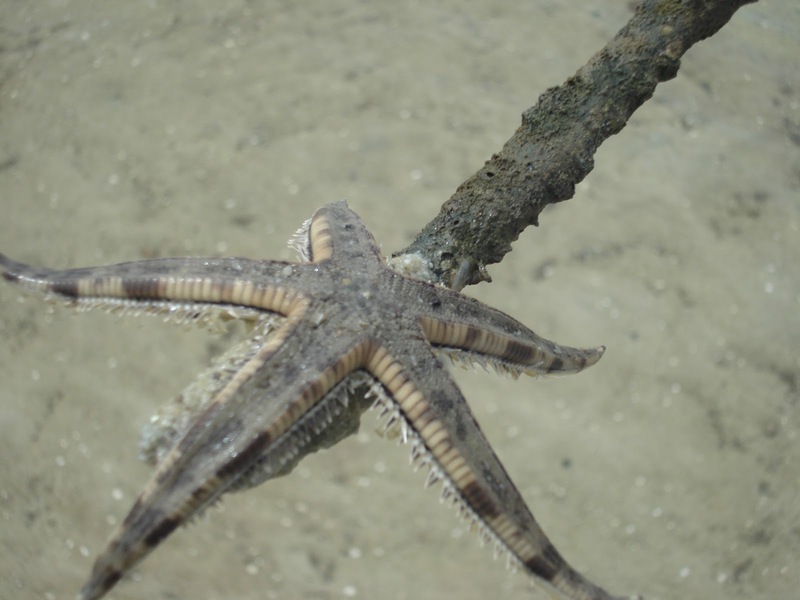 The aquatic life is amazing and the company of these marine creatures is a blissful experience. The return journey was uneventful and we retired in our room. Next morning I got up earlier than usual at 3.45 AM ! Later after breakfast, we waited for the pickup and watched a group of 30 odd Chinese tourists who descended into the restaurant for breakfast ,noisily .A forty minute drive through thick foliage of rubber, cocoanut, palm and banana plantations brought us to Ao Thalene , a place with lots of vegetation,swamps and aquatic life. We had a company of a German with Polish wife At Ao Thalene after a cup of steaming coffee we were given a lesson on basics of kayaking. What followed next was an unending saga in hilarity for next few hours. No sooner we started paddling, the boat started going in circles. Anyhow, we soon realized the mistake and made some progress. Finally we were off by 25 m from the coast when the old German came to our rescue and brought us close to the shore. On alighting from the kayak we saw hundreds of crabs, starfish, shell fish , snails and other creatures to greet us! There is a huge settlement of these creatures swarming all over the place. We were in the kayak again and after a while were grounded in mud! It was an effort to pull out the kayak and get moving again. The feeding of monkeys lead to a bloody fight ending in sniping off four fingers of one monkey and thumb of another in bitter struggle for bananas. We also saw, a school of barracudas and fed them pineapple bits. We also came across’ mud creatures’ which survive only in mud. The disaster struck when on return, I tried to get into the kayak and fell on the back seat. In the process my wife was airborne and ejected out of the kayak and my daughter desperately clinging on the edge :) The other tourists went into peals of laughter ! Slowly, and steadily we kayaked back to the start point but not before we kicked one kayak out of the way to avoid collision and in the process pushing them behind :) It was finally curtains down as we were exhausted for the day. A great experience indeed! It was time to bid adieu to lovely Thailand! We left by afternoon flight to Bangkok and further to New Delhi with all the happy memories!! Enjoyed your narrative Rahul, your Krabi pics are lovely! You brought me memories of my own trip, I remember buying a miniature Ganesh at the gem store and it is now a member of my ganesh collection! 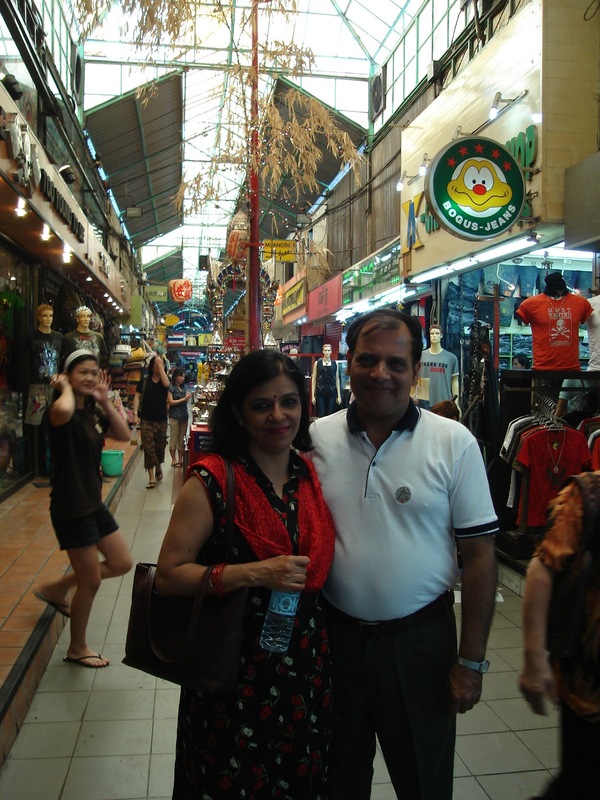 Many of us have been to this great destination and it is a pleasure to relive those moments again, Padmaja! It is very easy to just go somewhere and enjoy it, but the way you observed things there, like morning market and walking on the beach was very good. Really enjoyed your Thailand trip. It brought back pleasant memories of our trip there. I really loved its super cleanliness,the markets where I shopped like crazy, everything was so cheap there, did Scuba diving, para sailing, bought jewellery, oh it was a crazy trip. I forgot to mention, the sunrise picture is stunning. Thank you SJ! Coud not agree more! You packed in quite a lot on a short holiday. Was this part of a package tour or did you find all those interesting things to do yourself? 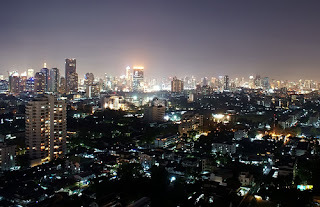 We lived in BKK for two years and enjoyed it thoroughly. 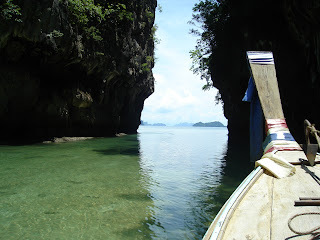 I have been to Krabi but skipped Bangkok. 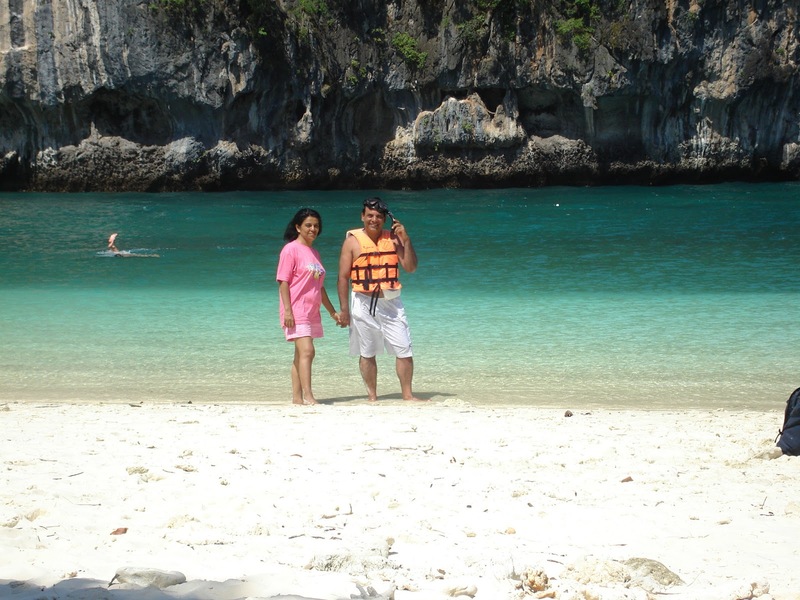 Krabi is awesome and i loved the island. Shopping at five in the morning sounds fun. Will read this again to soak in the experience. Sometimes we can't imagine that sports are so funny but we really enjoyed when we look at funny sports pictures, moments and videos. I can also would suggest taking a few minutes to successfully snicker not to mention grin available at funny pictures ( imagenes de humor ) and then funny videos ( videos divertidos ) to assist you in the quest with cheer in addition to stress reliever. Make your Myspace profile look cool and leave your friends Funny Myspace Comments and Glitter Graphics. Ah - what lovely descriptions of Thailand. Such a beautiful place. Thanks Lady Fi for having liked the post! Awesome !! Such a vivid description took me to Thailand and its beautiful beaches.Shopping in the morning Market must have been an exciting experience.The Photographs give shape to imagination. The sunrise picture is fantastic.Enjoyed reading this beautiful narrative. Bangkok has been on my list of Must Visit places for a long time now. The Island pics are just awesome.And it was really nice of those people to not have snatched your money. Something that we cannot take it for granted in India. WOWWWWWWWWWWWW you reminded me of my trip :)though I havent been to Krabi :D BKK and Phuket, omg truly these places are such a bliss. I've been in Thailand when I was a kid, now it's time for me to go back! i enjoy readiing your stories! 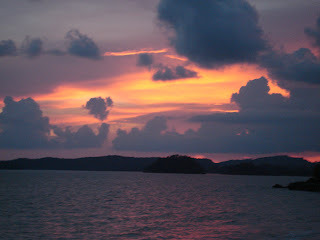 I enjoyed this trip sitting at home ,thanks.This kayaking appears to be very dicey!And the sunrise was truly divine! Hi Rahul, you have perfectly described the streets of Thailand, so full of vigor and life. I recall the bustling Patpong market place you mentioned, I'd never seen anything like it, quite an experience. That image of Paradise island is so picturesque! Am very happy that you could relate this post to your own experiences. Thailand is truly a paradise for holiday makers with lovely images of nature doting all over!! Welcome to my blog Jessica and am happy you liked it! gossip thashetheme celebrity news blog page is written in Albanian '. Such a detailed account of the trip, but tell me Rahul sir, you seemed to up pretty early each morning! Impressed by so many things, the honesty of the hotel staff for not stealing the money, the pipes which drain out the rain water so fast, the morning shoppers who come at 3! The pics of the post are great, and the water looks amazingly inviting. Snorkelling and kayaking.. perfect adventurs for the trip. The detailed post, actually makes us live all that through your experience! A big thanks for the visit and such a lovely comment!! 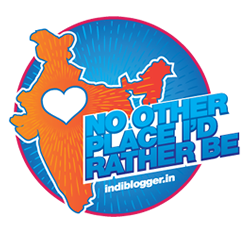 The travelogue was really a treat.आपका आंखों देखा हाल हमारे दिल में उतर गया. आप को पसंद आने का धन्यवाद! Suvarnabhumi airport...I am reading this name only now, though I have read a lot about Bangkok! I just wanted to ask if you bought anything at the jewellery market and lo... the reply was there! I thought you shopped a lot and the money was gone! These incidents give a good impression about the locals over there. We will never forget these. 3 to 9 am market is interesting! Then other shopkeepers might take over! I have heard that the fruits over there are very tasty! The Krabi picture is beautiful! 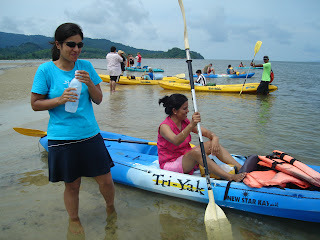 I am still smiling imagining your Kayak experience! You and your family will never forget it! I had a nice trip of Bangkok, thank you, Rahulji! Your post brought back memories of Thailand. I do plan to visit again, only this time I will take a few pointers from your itinerary. I've only seen Thailand in thai movies..
What a beautiful place to visit! Hope someday I can visit this place. Nice post, Rahul. I enjoyed reading it. Thank you Eden! Hope you visit sometime soon! It's an example set by Thai govt of having converted the country into a tourist centre. WOW, the staff must be really honest. Just wanted to know, you planned this trip on our own or through a travel agency? Hi Rahul, forgot to tell you that you should write travel pieces for newspapers. You have visited many places, have a wonderful way with words and photographs to accompany the pieces. Will surely give a try...and thanks again!! It looks as if you had fun on your trip! Great post. WOW! I have been dying to go to Thailand..looks like you had awesome fun! Keep it up! It was nice reading your post about the trip to Amazing Thailand, while reading it felt like i myself experienced those moments you had in Thailand. Lovely post really enjoyed it.